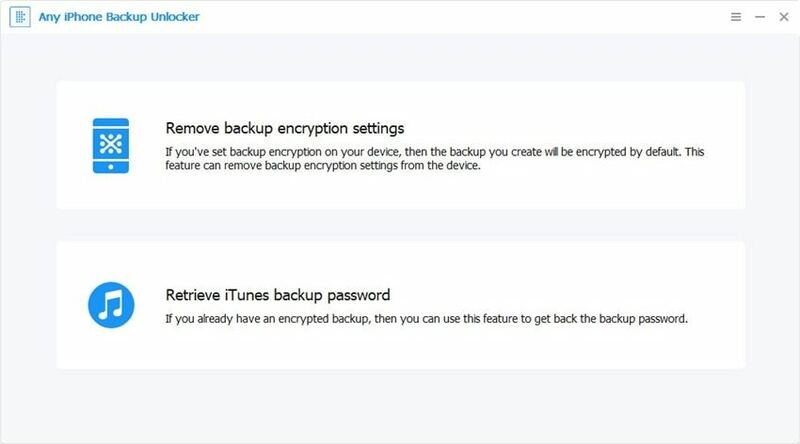 iTunes makes it possible to encrypt iPhone backups when syncing your iPhone, iPad. For security purpose, this backup normally is protected with a unique password. But if you forget the password, then you will not be able to restore from backup and your data will be inaccessible. Luckily enough, this post will provide the best iOS 11 backup unlocker software 2017 to help you recover forgotten iTunes backup password for iOS 11 iPhone and iPad with ease. Try your Apple ID password. Try you and your family’s name, birthday or special day. Most used password for online registration, such as forums or social media accounts. Try some simple and common password, such as 0000, abcd, 123456 and more. Beside, you can also use an iCloud backup instead of iTunes. If you don't have an iCloud backup, you can make one. If you tried all above possible passwords but still can’t get the right one, then you have to find some professionals to help your recover an iTunes password and after having the same experience with you, I have the privilege to share a useful iOS 11 iTunes backup decrypting tool with you, named iPhone Backup Unlocker. It offers the efficient and safe solution to recover iTunes backup password without any data loss. The iTunes backup unlocker is able to quickly and safely recover your iTunes backup with its strong decryption methods. Embedded with GPU acceleration technique, you can get a 30X faster decryption speed than the average. Work with all iOS devices: (red) iPhone 7/7 Plus/ 6s/6 (Plus)/ 5s/5c/5/4s, iPad, iPod touch. Compatible with iTunes 12.6.2/12.6.1/12.5, Windows 10/8.1/8/7/XP/Vista. 3 powerful attack methods increase the success rate significantly. Now let’s move to the detailed steps to unlock iTunes Backup. To get stated, please free download iPhone Backup Password Unlocker on the computer with the encrypted backup file stored. Step 1: Launch iPhone Password Unlocker and click on "Add" on the main interface to import your locked iPhone backup file. Step 2: Then choose an attack type from Brute-force Attack, Brute-force with Mask Attack and Dictionary Attack provided by this program to unlock iPhone backup files. Step 3: Click on "Start" to start recovering your forgotten iTunes backup password. Wait a while, your lost password will be listed in the File Opening Password Box. Hopefully this best iOS 11 backup unlocker software can help anyone who forgot their iTunes password get their account back in order.